Could this acceptable upgrade from Axminster be the answer for some of your worn-out parts? If you have a bandsaw with a poor fence, or even if you have bought an old machine and the fence is missing, then the Axminster bandsaw fence is your saviour. 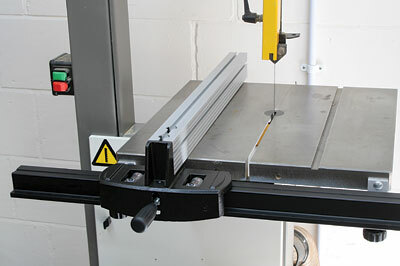 It is designed to fit pretty much any bandsaw as long as there is a substantial front edge for attachment. 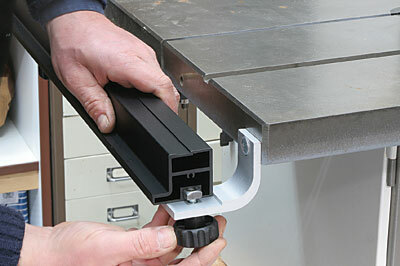 The kit consists of a decent fence, the front rail and two fixing brackets. It arrived just in time to fit on an old Startrite machine I am refurbishing as the original fence was missing. The instructions guide you towards drilling and tapping new fixing holes on the front of the table but I was able to find some new bolts and utilise the existing holes. 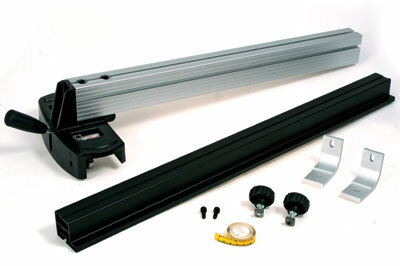 Installation is very easy; the holes in the brackets are elongated so you have plenty of leeway, fix them quite loosely to start with, one at either side of the table, then slide on the tail and secure it with the tee bolts and knobs. With the fence in position on the table you can then tighten up the fixing bolts and it should all then be level, that's all there is to it! The fence has bearings on the underside so it slides very smoothly and the large lever locks it securely - it really is very good. 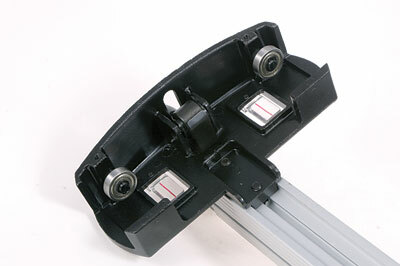 Also everything is subsequently adjustable, so you can alter the alignment relative to the blade in both planes. You are provided with a scale to fit on the front rail, but I didn't bother with this as I prefer to be able to move the fence rail from side to side, depending on how wide I am cutting. It is all rigid enough for you to use the fence clear of the table at either side and you can easily slide the bar out of the way to access blade changing. An excellent fence for the money; it is easy to fit, works well and is good value for money. Five stars.